Top attractions in Vernazza include Piazza Marconi, Santa Margherita Church, Doria Castle and two pristine beaches. Discover the historic trail that connects the five Cinque Terre Towns of Monterosso, Vernazza, Corniglia, Manarola and Riomaggiore. 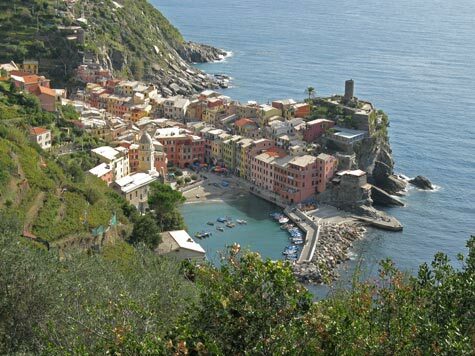 Due to the popularity and small size of Vernazza, hotel accommodation in the town is extremely limited. The Cinque Terre coast is served by a local train and ferry service. The nearest airports are in Pisa and Genoa Italy.